In a previous post (Sente is (long) dead, long live EndNote?) I wrote about the fact that Sente, the bibliographic database solution I had espoused is now defunct and that I had moved over to EndNote. (And I feel horrible about that! Coincidentally a former PSU student of mine just emailed me to say that she just found out that Sente was dead, just as she was starting her doctoral research! Better now than later, I suppose, but she had gone to Sente on my advice. Mea culpa!) I should reiterate that I chose EndNote largely because the University of Kentucky offers it for free for faculty, staff, and students. Other options are available. Danny Zacarias has a very thorough blog post on migrating to Bookends. 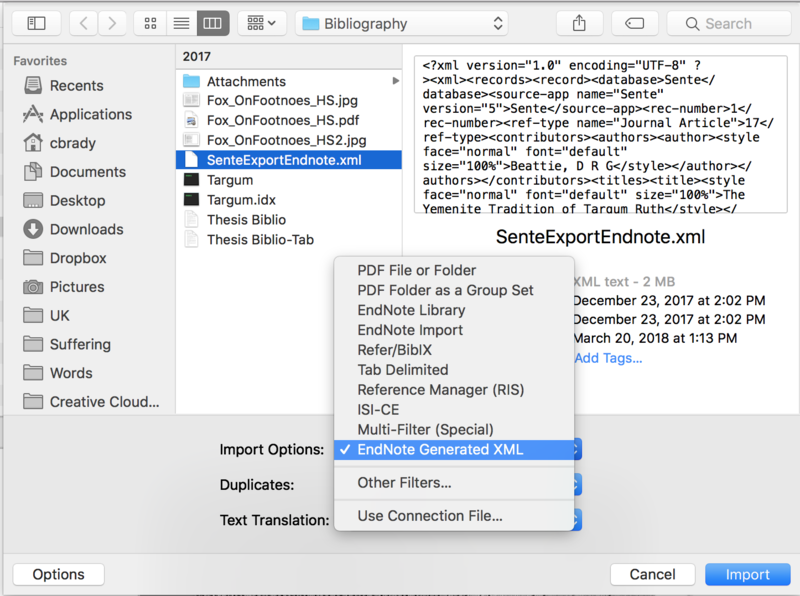 I thought here I would offer the basic steps on migrating from Sente to EndNote. I do not have screenshots from Sente because I no longer have the app (part of the problem!) but the first step should be fairly straightforward. Back up the Sente database locally. Hopefully you already have your PDFs stored locally. If not, well, sorry ThirdStreetSoftware left us all high and dry with no way to access their servers. Export your database from Sente into an XML file. 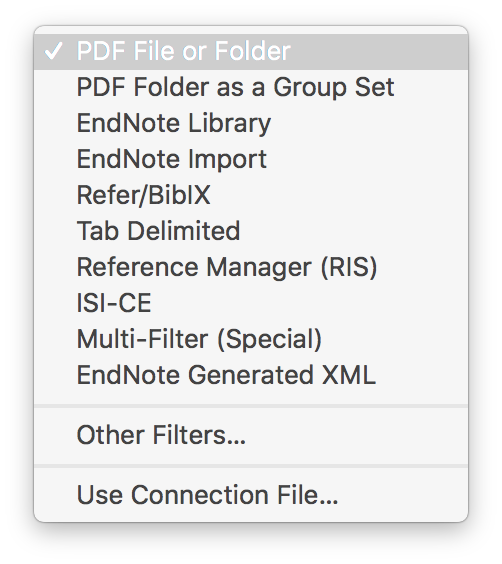 In the dialog box be sure to click “Options” in the bottom left and “EndNote Generated XML” as your format. You may find that there are some quirks. For some reason almost all (but not all) of my entries has an extra 7 spaces before the “Year” field. It took me hunting and eventually an email to support (who got back in a DAY! never had that service from Sente) that it was a simple “Find and Replace” to clean it up. 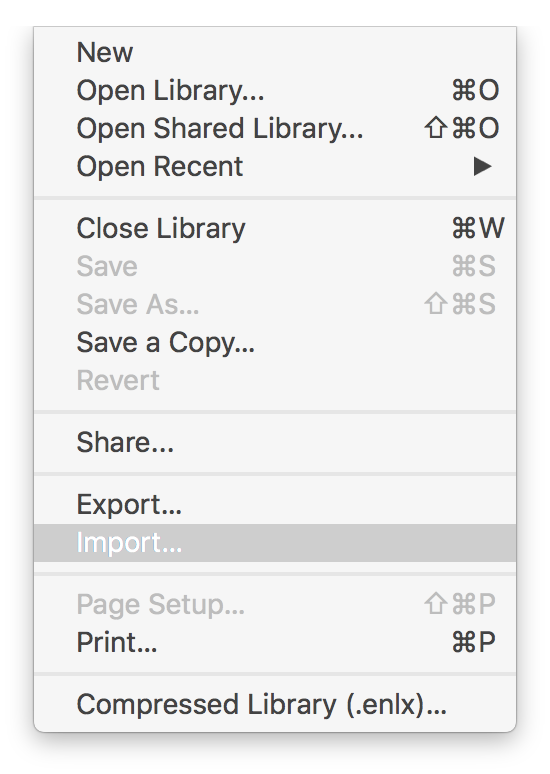 Assuming your PDFs are stored separately, you can first try and add the entire folder. Go back to File…Import and select “PDF file or folder” and select your topmost folder of the PDFs. I found about 50 or so of my PDFs came in with all reference material. I am not sure how, the files must be encoded in some way. 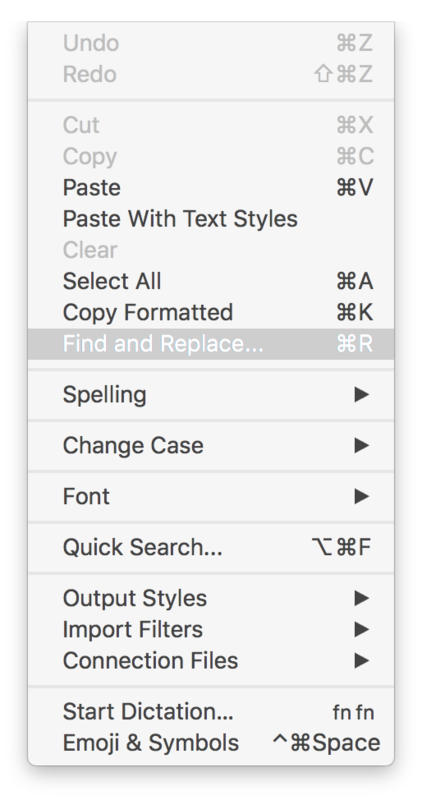 The result was some duplicates but EndNotes has a very handy and useful “Find Duplicates” feature under the references menu. So that is about it. Tedious, yes, but I feel more confident about the future of EndNote and Reuters. The MacOS app has some sluggishness that I mentioned earlier (although it seems to have gotten better as I have used it more) and the iOS app is excellent. Next post Congratulations to Jeremy Schipper!